The patience of God eventually runs out with obstinate rebels, but it will not deter His sovereign mercy and faithfulness. In part 11 of Chronicles: God’s Mercy and Faithfulness Overcomes, Pastor Dan Cox reads from 2 Chronicles 36. If God’s people will humbly repent of their sin, God will forgive and heal. In part 10 of Chronicles: God’s Mercy and Faithfulness Overcomes, Pastor Dan Cox reads from 2 Chronicles 6-7. While God has no need for a house built by human hands, the temple served as a central place of worship where God’s people could praise God, offer sacrifices and pray together. 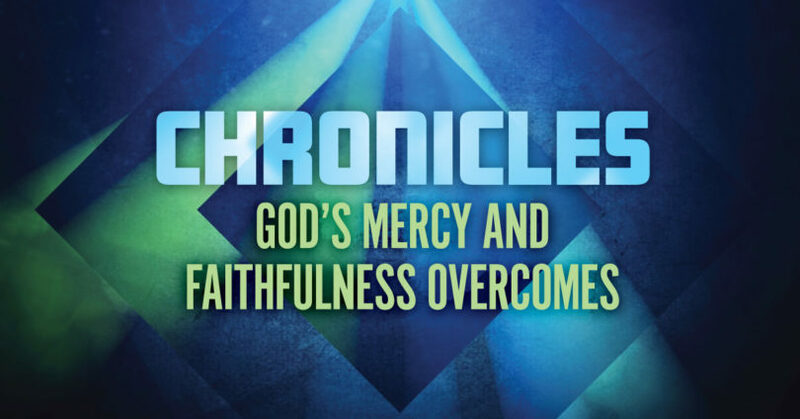 In part 9 of Chronicles: God’s Mercy and Faithfulness Overcomes, Pastor Dan Cox reads from 2 Chronicles 2-5. God honors and rewards proper priorities. In part 8 of Chronicles: God’s Mercy and Faithfulness Overcomes, Pastor Dan Cox reads from 2 Chronicles 1.